NuGet Gallery | Packages matching Tags:"v140"
64 packages returned for Tags:"v140"
AdPlug is a free, multi-platform, hardware independent AdLib sound player library, mainly written in C++. AdPlug plays sound data, originally created for the AdLib (OPL2/3) audio board, on top of an OPL2/3 emulator. No OPL2/3 chips are required for playback. Symbols for package 'adplug'. This package should not likely be installed. (This is not the package you are looking for). 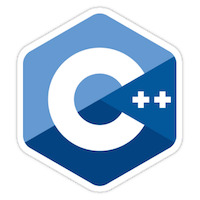 A C++ wrapper for the MarkLogic Server REST API, and utility classes. This is the mlclient / MLConnect C++ API. Ice C++ SDK for Visual Studio 2015 (v140). Ice is a comprehensive RPC framework that helps you network your software with minimal effort. This library is a wrapper around the excellent FreeType 2.0 library. This library allows you to use TrueType fonts to render text in SDL. This is a NuGet package of SDL2 built with Visual Studio 2015.